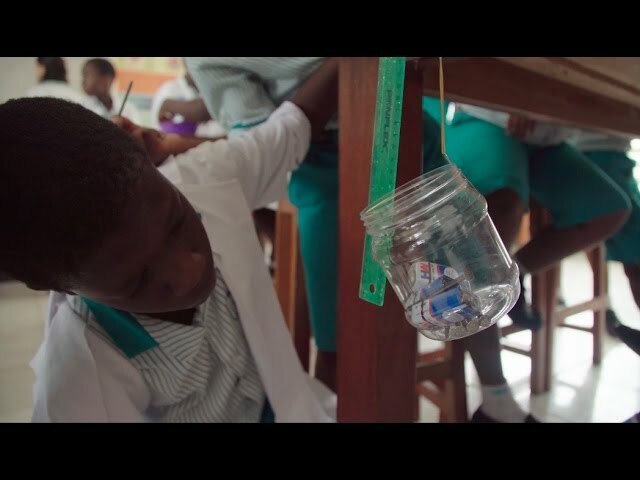 PEN equips Ghanaian STEM teachers to learn, design, and share hands-on activities which complement the national curriculum and are created from low-cost and locally available materials. PEN has built a robust teacher training program over the last three years. In that time, we have equipped 100 local-level trainers and built our brand locally. We are now moving our public and private partnerships forward to help scale the program. Fewer than 10% of junior high schools in Ghana contain any lab equipment, and similar resource constraints exist across Africa's 10 million schools. Fewer than 5% of the STEM teachers we surveyed had attended any relevant training in the last year. PEN empowers K­-12 teachers in resource­-constrained environments to engage students in practical education, by offering a series of workshops in which STEM trainers learn, design, and share hands-on activities using low-cost and locally-available materials. We partner with Ghana's Ministry of Education and the Ghana Association of Science Teachers. We serve the thousands of teachers in Ghana who do not have training to address the resource constraints they face everyday in their classroom. From our survey results, 80% of teachers state the primary obstacle to doing practical science as being the lack of materials. After our workshops, 70% of teachers indicate a positive perception change in their ability to perform practicals in their classrooms. Our vision is to see the normal mode of STEM teaching become practical, hands-on, and inquiry-based in West African classrooms. We have designed an MIT-style, constructivist learning experience around each of the activities in the Ghanaian standard syllabus, enabling teachers to form their own understanding while collaboratively designing low-cost hands-on activities to bring into their classrooms. We offer multiple tiers of training, bringing teachers from exposure to the new style of teaching to effective classroom application to designing new content. The Ghana Education Service endorses and advertises the program to all teachers in the corresponding school district. Repeat customers are migrated to higher levels of training. Strong relationships with the Ministry of Education enable us to infuse our hands-on STEM content and techniques into national standards. Over the next year, we are looking to launch our 2-year, 6-stage PEN Teacher Roadmap, which is a holistic program designed to build fully confident, competent practical STEM teachers. It combines training, coaching, and community-building through a web app. We seek to formalize our relationship with various government entities to enable scaling of the intervention. Our founder completed her PhD in Mechanical Engineering at MIT, where she developed a passion for spreading hands-on education. While at MIT, she co-founded the D-Lab: Education course and mentored dozens of students in community-based engineering projects for rural communities. She has trained thousands of teachers and students in low-cost, hands-on STEM education. The PEN team is a mix of Ghanaians and Americans, all possessing both a STEM background and teaching experience.